Will You Be Able to Tell Your Story? A few months ago my wife and I celebrated our 20th wedding anniversary. So I decided to surprise her by posting some photos of us from back when we were dating on Facebook. Back in the mid 1990’s there was minimal technology for camera phones and the cloud was just something that you would look up and see in the sky each day. So I found myself down in my basement office looking through boxes and boxes of old photos. The process took quite some time as I found myself stopping to enjoy photos of our kids when they were little, family vacations, camping trips, little league games, and so many others that I had forgotten about. The history of my family – a keepsake or lost? I stopped and thought for a moment about how the countless photos I was looking at were actually the history of my family. Someday my grandchildren or even great grandchildren would eagerly look through these photos wanting to learn more about our family tree, where they came from, and what Grandma and Grandpa were like when they were young. I also paused and came to the sobering realization that these photos were the only copies of our family history. If something ever happened to these boxes it would be our family history lost – forever. But, would something really ever happen? The odds seemed quite small. Only a week later a massive storm produced over seven inches of rain and deposited a large maple tree on my roof. I guess the odds were not as small as I had thought. So I began the process of organizing and scanning all of my family photos. I have a long way to go, but now have a big sense of relief knowing that my family history will be preserved for generations to come. What about your business’ valuable records? Why scanning? This led me to think of how this relates to my career and the customers that I serve. Just how many of them are in the same situation with their historical business records? From articles of incorporation as well as old meeting minutes and agendas, many of these are the only set of information that exists. This valuable information tells the story of how a business began. The recent natural disasters in Houston and Florida remind us of our vulnerability and how things can change in a moment’s notice. 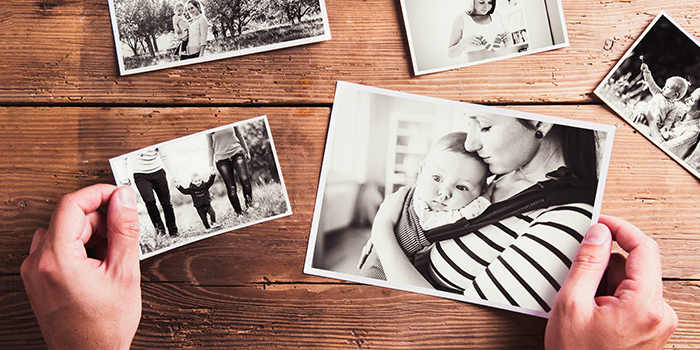 If your business has historical records having them scanned, just as I have done with my family photos, the story of your business history can be told to future generations as well. How to Get Rid of the Old Files with Secure Document Scanning August 12, 2014 In "Document Scanning and Conversion"